Hi, Friends. 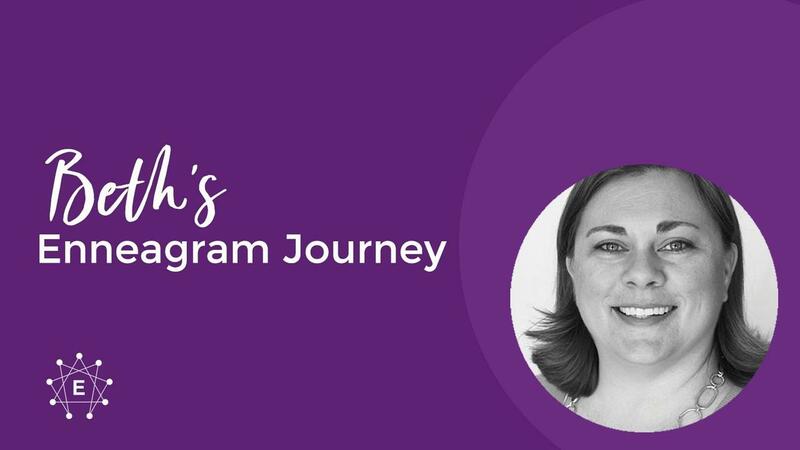 It’s Your Enneagram Coach Beth, here to tell you a little bit about my personal Enneagram journey. My hope is that by reading about the transformation I experienced (and continue to experience daily), that you’ll be inspired to use the Enneagram to accelerate your own personal and spiritual growth. Who and Whose Am I? In 2000, My husband Jeff and I, along with our kids Nate and Libby, were living in a small three-bedroom apartment on our seminary’s campus. It was then that I stumbled upon and began studying the Enneagram, not as a teacher or coach, but as a wife and mom of small children, a person who desperately needed it. As a long-time Christ-follower, I was well-acquainted with the Gospel story. I knew logically that Jesus loves me and had died for me, bringing me freedom and fullness in Him. But somehow I was struggling to let that truth fully settle into my heart and life. I kept falling into the same ruts, and felt stuck year after year. This caused me to experience great guilt, shame, and fear. I couldn't grasp the freedom I knew I already had. I was scared, lost, lonely, and very sensitive to the words and actions of the people around me. The tricky dance that Jeff and I had been trying to master in our early marriage became seemingly impossible. Life’s daily challenges felt like major obstacles on our journey as a couple. Frustration, sadness, and loneliness welled up within me. I would look around, and it seemed like nobody was doing things the way I thought they should be done. Because I had not done my own deep self-discovery work, I fundamentally believed that only my perspective was the right perspective. This unwillingness to submit to the Holy Spirit and insistence on going about my life the way I saw fit revealed my idols — the ways in which I tried to satisfy my Core Longings apart from Christ. When we demand that our Core Longings are satisfied by others, we will always be disappointed, hurt, and angry. Others will simply never be able to come through for us in the way we need, and we’ll never have true peace in our relationships. I felt powerless to stop the negative patterns I was falling into time and time again. The harder I tried, the more entrenched I became. I wanted to grow in my likeness to Christ, yet I kept finding myself resorting back to the same unhealthy behaviors, and my personal shortcomings made me feel hopeless. As a pastor’s wife, I couldn’t understand why I didn’t feel like I was growing more, and why I kept falling into the same pitfalls. I wondered: Is there any sanctification happening within me? Is something wrong with me? Am I truly a Christian? Like the Apostle Paul in Romans 7:15-25, I asked myself why I do the things I don’t want to do, and don’t do what I want to do. From the outside, I looked like a capable wife and mother, but my inner world was in shambles. I was constantly comparing myself to others, a dangerous game in which I always came up short. I believed that if I put myself down, I could motivate myself to be better. Oh, how that is a lie and trap from the evil one. The opposite is actually true. Jesus came for me while I was a sinner (Romans 8:5) not because I had myself all fixed up and perfect. He wanted me to come to him as I was, desperate and needy. Thankfully, some friends gave me an incredible gift by introducing me to the Enneagram. It helped me to understand not only myself and why I do what I do, but also how to accept and extend grace and forgiveness to all parts of my life. The first book I read was Richard Rohr’s book, The Christian’s Perspective of the Enneagram. Back then, it was the only Enneagram book written from a Biblical perspective. I devoured the book, and soon discovered that I am a Type 9. It immediately brought so much clarity to my internal world. Of all the Types, we 9s know ourselves the least. With the Enneagram, I finally had a tool to give me understanding of what was going on inside me, something I couldn't have understood on my own. Not only did the Enneagram bring insight to my own life, but it also helped me to know and understand Jeff on a much deeper level. It gave me a deeper sense of compassion, kindness, forgiveness, mercy, and grace for myself and him. As I grew in my understanding of all the Enneagram Types, I found myself saying, “Oh, that’s why that person does what they do!” Everything was making more sense, which allowed my heart to rest. As I rested in Jesus, I saw lasting changes in my own heart, marriage and relationships with others around me. The Enneagram not only revealed why I struggled, but also a path of personal growth and relational development. After hundreds of hours of training under Enneagram experts and advanced certifications, I realized my calling to come alongside individuals and help them experience the same life transformation. This passion is what drove me to create this community, a safe place for people to explore the Enneagram and experience the growth, purpose and freedom in Christ their hearts are longing for. 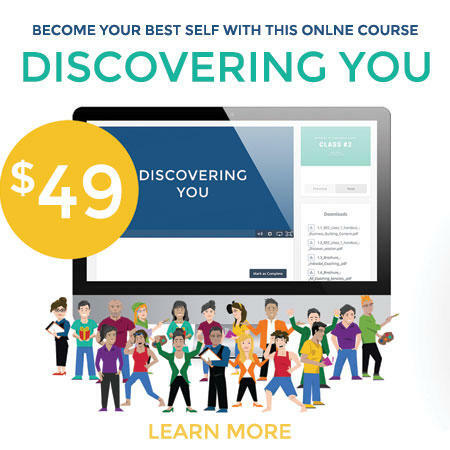 Today I offer one-on-one coaching, workshops and online courses to help people discover the Enneagram, explore their Type, and even become Enneagram coaches themselves. 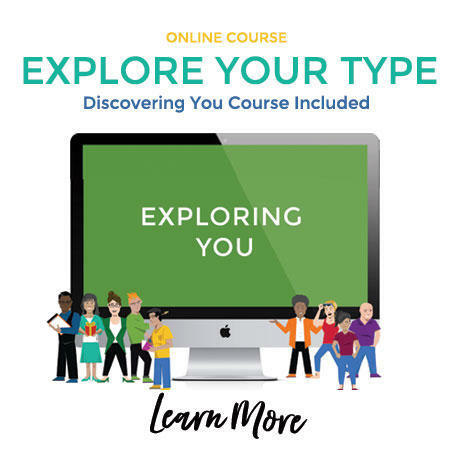 If you’re ready to get started by pinpointing your Type, I invite you to go take my free assessment. Then if you’re ready to learn more about changing the patterns you’ve been stuck in and experience lasting transformation, check out my 3-step online courses. I also offer private coaching for individuals, families and teams.